I just wanted to do a review for these amazing lenses that I got from PinkyParadise. PinkyParadise is always a fun store to collab with and their selection is always on point! I trust my eyes with the lenses they sell as they are GEO medical approved. As the title states, this is part 1 of 2 since I think it would be better to do separate reviews on each one. As stated on the lid, these are the Xtra brand/series so if the price of these lens are too pricey then you can always search for it at another store with the "Xtra" attached. 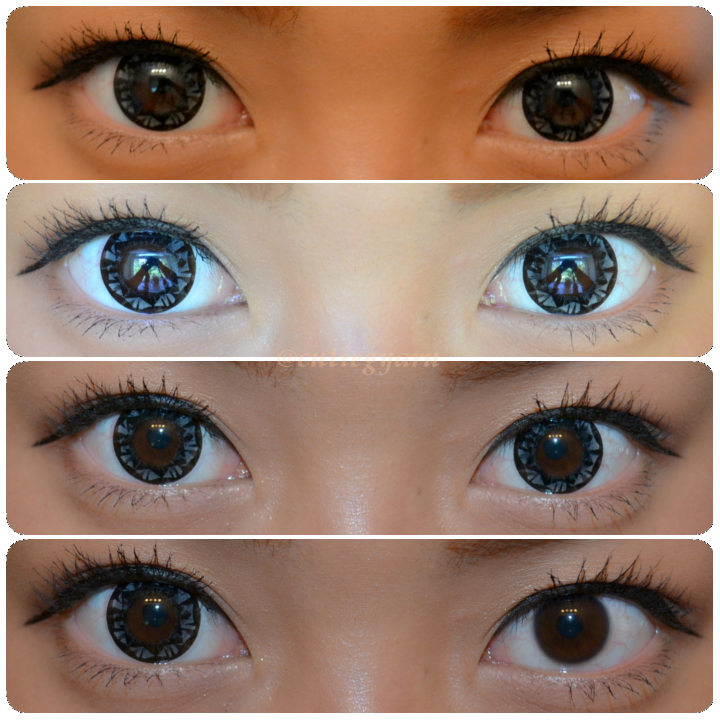 I think these lens would be perfect for those that are into the ulzzang look because of the subtle dark color. It's not too black that you look like some alien. For people with darker colored eyes I think these blends really well with the right amount of eye makeup!! Do go check out PinkyParadise for some amazing lenses and beauty items!! Also, you can use my code "vickahh" to redeem a mystery gift at checkout!! Very lovely lenses *0* They look very pretty on you! !